Self Storage Modules. Made as simple as can be. 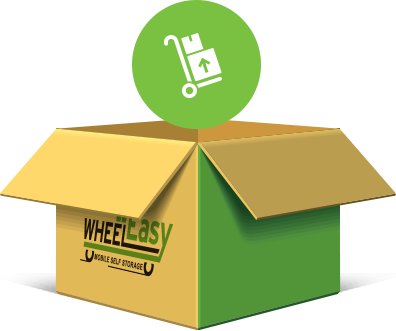 PLACE AN ORDER AND WHEEL EASY MODULES ARE PROMPTLY DELIVERED TO YOUR HOME OR OFFICE. PACK YOUR GOODS IN THE MODULE FOR STORAGE. LOCK THE WHEEL EASY MODULE WITH YOUR OWN LOCK. CONTACT US WHEN YOU ARE READY AND WE WILL COLLECT AND STORE YOUR MODULE AT OUR SECURE FACILITY. Modules come in a range of sizes from 1m3 up to 10m3, and rental starts at $20 per month. We store the packed modules at our secure storage facility for as long as you need. You can also access your modules while in storage. Simply arrange an access time with our team and we’ll have your module ready within 24 hours. When you are ready to relocate your items, contact us and we will arrange delivery of your modules to a location of your choice. Alternatively you can un-pack and pick up your goods directly from our storage facility at no additional charge. *A module delivery fee may apply depending on your delivery location. Deliveries inside a 30Km radius of Perth are FREE. 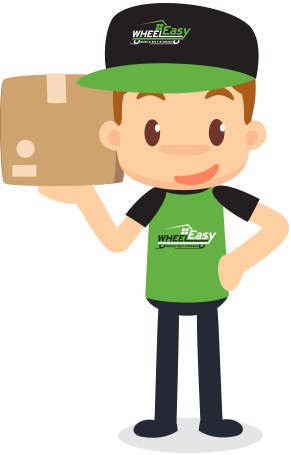 Simple, hassle free self storage from WheelEasy! 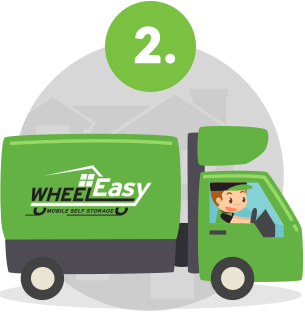 Forget renting a van or ute, your Wheel Easy module is delivered and picked up by our team for FREE. Want to pay a visit to your stuff? Give us a call and we’ll promptly have your module ready and waiting. Wheel Easy modules don’t have feelings, but if they did they’d feel protected in our secure storage facility. What is mobile self storage and why is it better? Is it more expensive than traditional self storage? How much does Wheel Easy cost? How much for after storage module delivery? How big is a Wheel Easy module? When can I access my module? How many Wheel Easy modules will I need? Can I get assistance to load my storage module? How long do I get to load my storage module? Is there anything I can’t put in the storage module? Where will you deliver my storage module to? Mobile self-storage is exactly that, storage for your belongings that comes to you. Forget the strain and hassle associated with moving your stuff to a storeroom, we’ll bring the storeroom to you. You would think so, but you’d be wrong. Not only is mobile self-storage more convenient, it’s also cheaper than traditional self storage. You can’t put a price on convenience! Delivery is free within 30kms of the Perth CBD, with modules starting from just $20 per month. Re-delivery costs depend on where you are moving to and distance from your storage facility. On average it costs around $30 per module. Please contact our office to obtain a quote once you know your after-storage delivery location. You can access your module any time between 8am and 5pm, Monday to Friday, just give 24hrs notice and we’ll have your Wheel Easy module ready for your arrival. Please note we’re closed on weekends – we’re only human! Generally, you will need one Wheel Easy module for every 1 – 1.5 rooms of furniture. Through the magic of technology (and some Redbull fuelled programmers) you can find out using our Volume Estimator. Alternatively, feel free to give us a call and we’ll talk you through it. Absolutely! With back to base alarm monitoring and CCTV, even the insects have trouble getting in. Don’t have the muscle to load your module yourself? Simply shine a light into the sky and our Module Men will fly in to rescue you. Alternatively, you can just select our Premium service and we’ll send out 2 experienced staff to load your module for you. 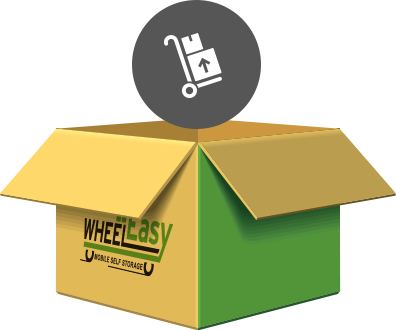 Wheel Easy has a dedicated secure automatic payment system set up through which you can pay by credit card. 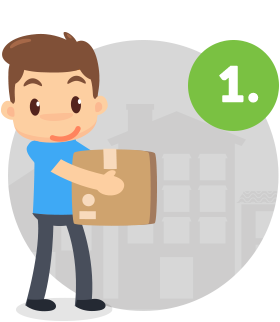 When you place your order, you’ll be charged the first month’s rent and packing supplies if applicable. A monthly fee will then be taken from your account on the same day every month for the length of your storage. We’ll leave the storage module at your house for up to 4 days giving you 96 hours (that’s 5,760 minutes or 345,600 seconds) to fill it. If you need more time, simply give us a call to ask for a longer term. While we do carry our own insurance, and will do everything known to man to ensure the safety of your items, it is your responsibility to insure your belongings. Fear not though, we offer a range of insurance to cover you. For more information please contact us. We can deliver the storage module to anywhere that we can park the trailer which is about the size of a large 4WD. So that means your driveway, parking spot, secure carpark area or annoying neighbours front lawn. Ready to get started or have other questions? You can order your mobile self storage modules and packing accessories directly from our web site, or simply contact us and we will help organise everything.